Anxiety can affect many areas of your life, I know, mine started very early in life. 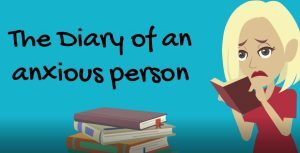 Take a look at my anxiety diary, I am sure some of it will resonate with you. The situations may be different but the way the mind and body are behaving is probably familiar. If you would like to talk more about your anxiety, contact me today. If you are suffering from any level of anxiety and you are wanting to take back control of your emotions and your life, but you don't know how to do it. Then working with me will not only enable you how to stop anxiety even before it starts, it will ensure you can access your calm, confident and happy self each and every day in all situations. So whether you are experiencing anxiety occasionally, in certain situations or it is affecting your ability to function on a day to day basis, then the proven methods I use will give you the solution you have been looking for. 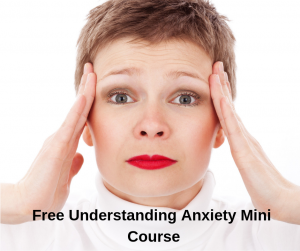 Start taking control now by signing up for my free Understanding Anxiety mini course. Your anxiety is unique to you, although the internal processes are the same. For this reason I offer both bespoke one to one sessions, group courses and online support. Please contact me to discuss your individual needs in a free introductory session. Licensed online use is also available.